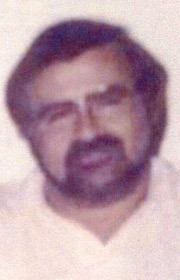 Earl K. Lawrence, 80, of Fort Dodge, died Sun­day, Feb­ruary 3, 2019, at Fort Dodge Villa Care Center. Crem­ation rites will be accorded with Gun­derson Fun­eral Home & Cremation Services. The family will greet friends at a Celebration of Earl’s life on Saturday, February 16, at Willow Ridge Golf Course & Restaurant from 12:00 to 3:00 p.m.
Earl is survived by his son Blake (Tracy) Lawrence, Coalville; daughter Rachel Lawrence, Fort Dodge; grandchildren, Tanner Weinzetl, Torie Lawrence, Quinea Lawrence, Shaw Lawrence, Trent Lawrence, Trey Lawrence, Laura Buske and Ashley (Kelly) Thiele; great grandchildren, Charlie Baker and Azaiah Lawrence; his sister Jean Tipp, Blackduck, MN; his daughter-in-law Linda Lawrence, Gowrie; and his lifelong friend Clarice Walker, Fort Dodge. He was preceded in death by his parents, his son Troy Lawrence, his sisters, Grace Lawrence and Lorene Bonde, his brother Bert Lawrence, and his brother-in-law Merlyn Bonde. Earl Kent Lawrence, the son of Harlow and Lucy (Nielsen) Lawrence, was born September 17, 1938, at Newell, Iowa. He graduated from Newell High School in 1957. Earl was united in marriage to Clarice Kuhn in Sac City. The couple later divorced. He worked part time as a meat cutter and drove a beer truck for City Club Beer Sales in Des Moines. He owned and operated grocery stores in Clarion and Sac City. Later, Earl was an independent truck driver and then worked for Brazo’s Trucking. Earl enjoyed spending time riding his motorcycles.